Machining processes play an important role in the manufacture of a wide variety of components. While the processes required for metal components are well-established, they cannot always be applied to composite materials, which instead require new and innovative techniques. Machining technology for composite materials provides an extensive overview and analysis of both traditional and non-traditional methods of machining for different composite materials. The traditional methods of turning, drilling and grinding are discussed in part one, which also contains chapters analysing cutting forces, tool wear and surface quality. Part two covers non-traditional methods for machining composite materials, including electrical discharge and laser machining, among others. Finally, part three contains chapters that deal with special topics in machining processes for composite materials, such as cryogenic machining and processes for wood-based composites. 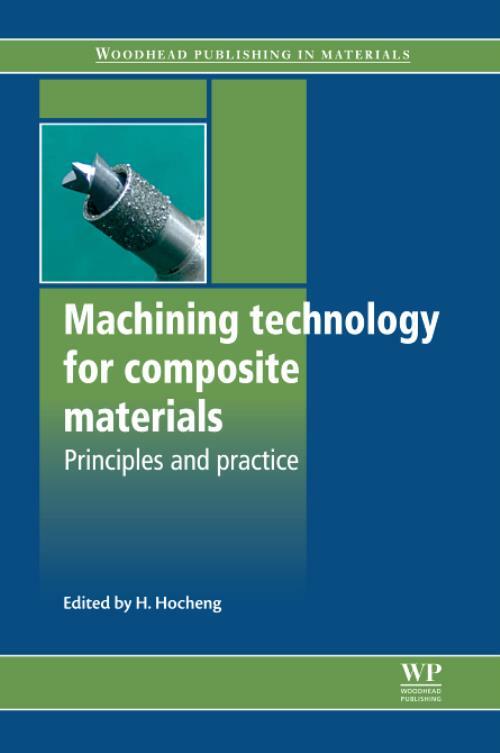 With its renowned editor and distinguished team of international contributors, Machining technology for composite materials is an essential reference particularly for process designers and tool and production engineers in the field of composite manufacturing, but also for all those involved in the fabrication and assembly of composite structures, including the aerospace, marine, civil and leisure industry sectors. Hocheng, HHong Hocheng is a University Chair Professor in the Department of Power Mechanical Engineering at the National Tsing Hua University, Taiwan, ROC.